Typically, a hearing is held, the licensee appears, usually with legal counsel. Those who filed the protest can, along with anyone else in the community, show up and testify. In the end, the three-member Liquor Board almost always refrains from killing the license, instead perhaps shaking a finger at the licensee, very occasionally suspending a license or even chiding the protestants for failing to adequately document their complaints. Now the board is supporting a bill giving it the authority – before the renewal hearing occurs – to order the licensee and the protestants to enter into mediation. It also empowers the agency to specify a particular mediator. “The board views this as a tool created for increased communication and decreased confrontation,” said Thomas Akras, Liquor Board executive secretary, at a hearing in Annapolis Tuesday. 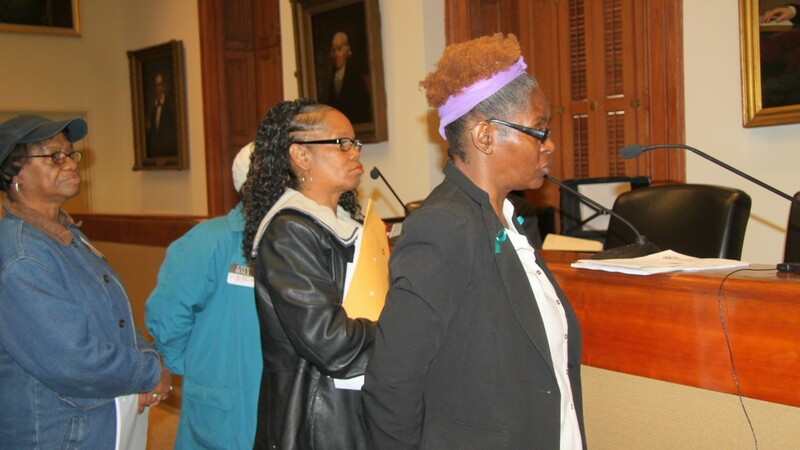 But community leaders and their advocates are calling on the bill’s sponsor, Sen. Joan Carter Conway, to withdraw it, saying it could have the effect of discouraging citizens from coming to the board for help with nuisance establishments. Karen DeCamp, who has worked on liquor issues for a decade as a leader of the York Road Partnership, says community groups already meet with licensees in hopes of working things out. “I think this bill may be a solution in search of a problem,” said DeCamp, director of neighborhood programs at the non-profit umbrella community organization, Strong City Baltimore. DeCamp, Witt and others who follow Liquor Board issues closely said they were blindsided by the last-minute notice the communities got from the agency about the existence of SB-1087 and two other bills it is pushing in Annapolis. Liquor Board executive secretary Thomas Akras sent emails about the legislation out on Monday – the night before the hearings on them were to be held. “He has a huge email list. He could have sent that out a month ago!’” DeCamp said. Video of the hearing, conducted on a day when the State of Maryland was under a state of emergency because of a severe snowstorm, shows a nearly empty room. Commissioner Moore acknowledged the lapse. In addition to the protest-of-renewal bill, Conway also introduced SB-1122, which allows those requesting a transfer of ownership the ability to apply for a single 180-day hardship extension. A third bill, SB-1086, would remove any residency or voter registration requirement for almost all liquor license applicants. 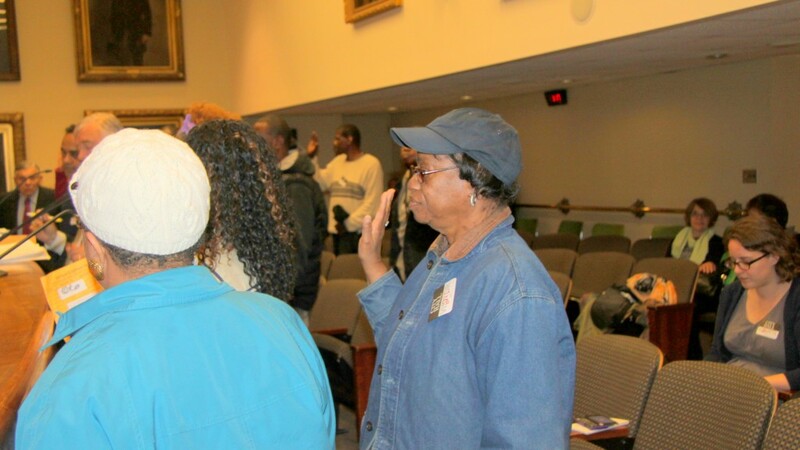 Current law requires at least one applicant to be a resident of Baltimore city. That bill favors liquor interests and hurts residents, Joanne Masopust, president of the Fells Point Community Association, said on Facebook. “Residency increases the likelihood that they will be committed to the City and be concerned about the impact of their businesses on our communities,” she said. DeCamp is “agnostic” about the measure, acknowledging the requirement is routinely circumvented anyway. “It’s a bit of a ruse, a bit of a scam, in practice, and everyone knows it,” DeCamp said. Out-of-town bar or restaurant owners typically find a local city resident, often with no ownership or real ties to the project, to lend their name as a co-licensee. Back Down, Sign an MOU? The mediation bill has stirred up an online firestorm, drawing support from among those who see community associations as obstructionists or worse. Gaither said he thinks the outcome in those cases would have been different under SB-1087 and SB-1122. Conway, speaking about the bill in committee Tuesday, said her aim was to give the agency the authority to order mediation that could persuade protestants to drop their protest and agree to an MOU. “They might initially come in opposing renewal but by the time that all of the parties get together they will come up with an agreement that you can’t sell ‘shorties’ and you can’t sell miniatures and you have to close at a certain time,” she said. Witt said the bill represents a fundamental misunderstanding of the purpose of renewal hearings. In a Community Law Center statement opposing the measure, she said under state law the filing of a protest triggers an investigation by the Liquor Board through a hearing, not a legal battle between two parties.